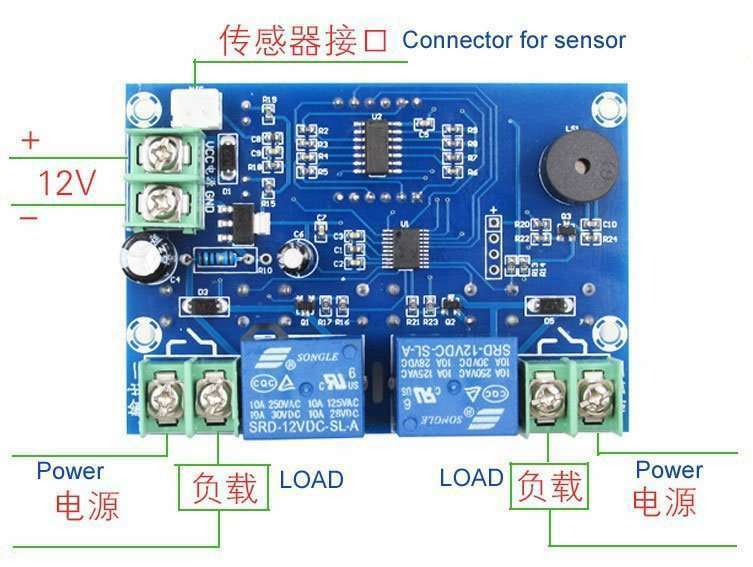 he controller is the type of Relay outputting,output contacting tip means a switcher,so,need to connect the tip into the power-supply circuit. 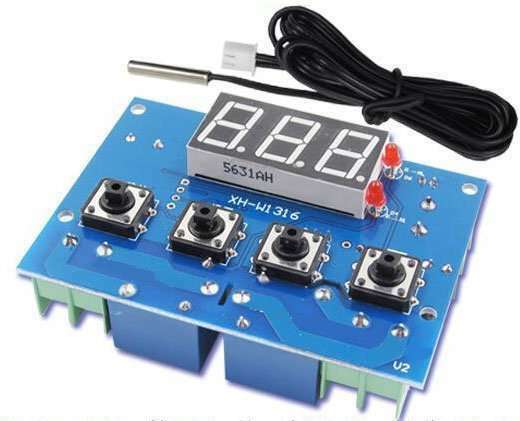 1,set stop temperature: press SET a time,flashing a number on the screen,set this number as stop temperature,at what temperature you want to stop,then set this number as stop temperature. 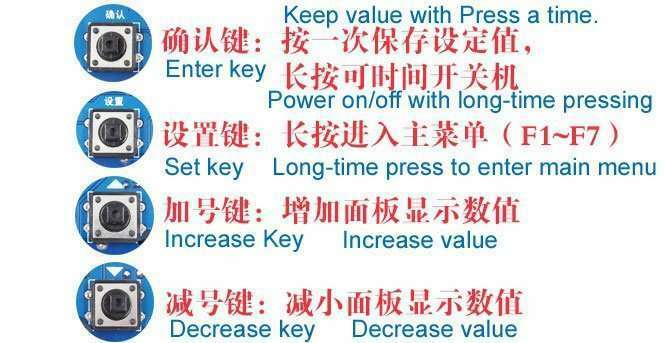 2,set working mode: press SET key long time,after 5seconds,showing F1 on screen;then,press SET key again,set to be “H” or “C”. 3,Set Return value: when showing F1 on the screen,press ” ” a time,when showing F2 on the screen,press SET key again,set the value of F2. the controller has two channels output(Output1 and output2).No need divide for two channels.For example,when set Return value “5”,when the difference between real temperature and stop temperature is bigger than 5,then will start the second output,and thus start the mode of Speeding Up. Refer to the way 1.2.3 above,set temperature difference(enter F3 to set temperature difference). 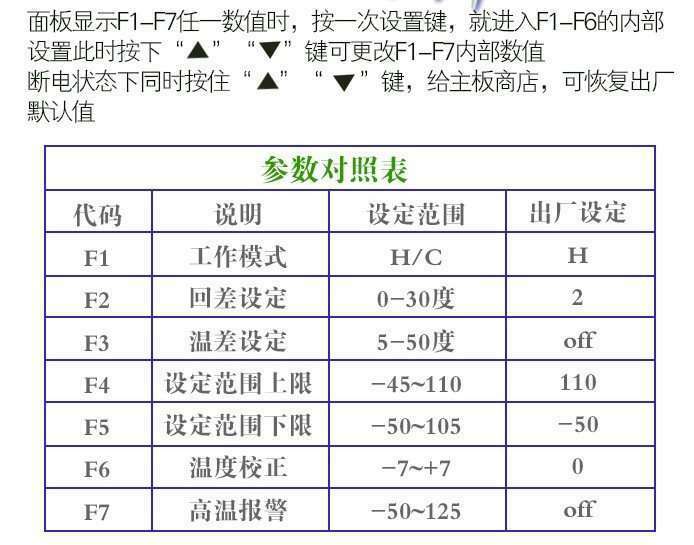 Can set a group of temperature difference, when the first red lighter bright,when the difference between the real-time temperature and stop temperature is greater than the F3 set value, then the second red lighter bright, start the two devices. 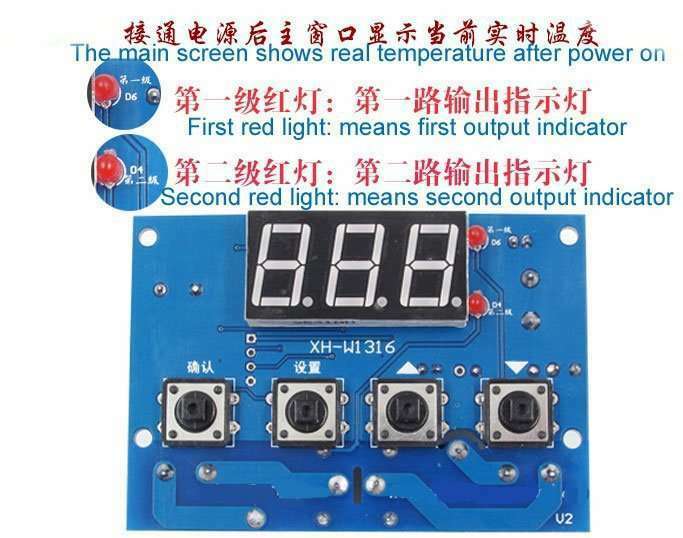 When the difference between the real-time temperature and the stop temperature is less than the set value of F3, the second red light does not bright, the second channel relay has no output. When there is errer between the display temperature and the actual temperature , can be corrected through this function, after correction,the value will be automatically added to the real-time temperature, the current display temperature = the last display temperature + calibration value. 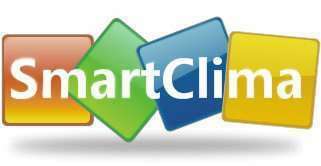 Notice: You need to connect heating device or cooling device on both Output 1 and Output 2. Couldn`t one channel connect heating device,and the other conntect cooling device.